A lovely sign of late summer. Beautiful shot! Very unique presentation. you'd usually expect to see flowers in retina-searing colors. I like the more muted tones of this shot. It lends a quietness to it. i hate to admit this as a guy. 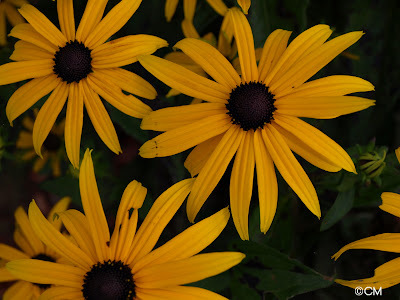 I do like yellow cheery looking flowers. Some of my favs...and they come back every year!